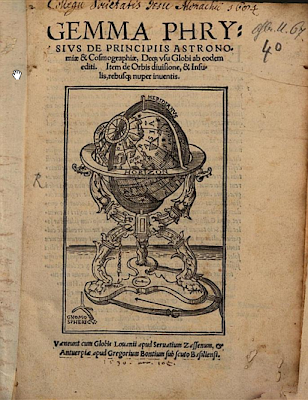 Ever since people realized that the Earth is spherical, people have used globes to model the world and the stars in the sky as well (since the space occupied by the earth – the night sky view of the stars – is also spherical). Back as early as the third century BCE, globes were used not only to model the shapes of the coasts but also the locations of the commercial centers, and also information about the commodities these commercial centers excelled in and what trading rules were observed – what we now know as symbolic legends in an economic map. [T]he mounted globe ... is the only one of all instruments whose frequent usage delights astronomers, leads geographers, confirms historians, enriches and improves legists, is admired by grammarians, guides pilots, in short, aside from its beauty, its form is indescribably useful and necessary for everyone. The globe's beauty and form might be useful and necessary for everyone, but, back then, only very important and powerful people could afford world globes: kings and statesmen, for example. 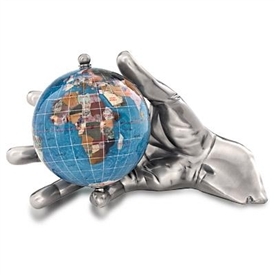 The Greeks and Romans were aware that to hold the globe in your hands is to symbolically show dominion and power over the earth (or parts of it). 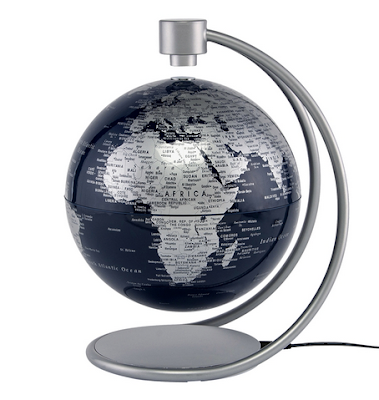 These globes were not used for navigation, but as status symbols. 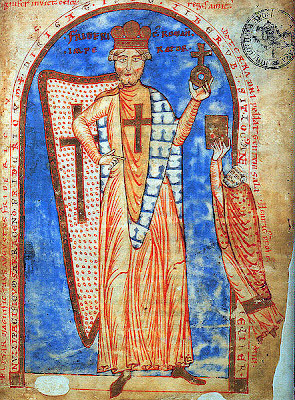 Frederick I, Holy Roman Emperor as crusader. Miniature from a manuscript from 1188, Vatican Library. 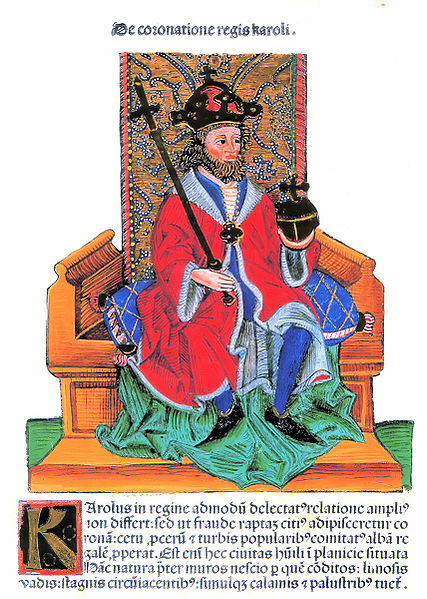 Ironically, globus crucigers became fashionable at a time when many people believed the world to be flat. This is the inspiration for the Globe In Hand decorative table globe series. Here at Ultimate Globes, we also have "globes of power" – levitating and revolving globes – with an almost magic-like ability to seemingly float in the air and rotate by themselves. They may no longer be the preserve of the rich and powerful, yet their ability to amaze remains.